Wheat and Barley, usually referred to as straight grains are grown here on our farm year after year. 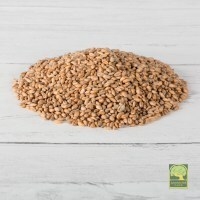 The varieties may differ but the quality does not, and you can be assured that these grains are grown to the highest standards, then harvested and stored here on our farm, until they are required either as straight grains or as the basis for many of our Wild Bird, Pigeon or Poultry mixes. 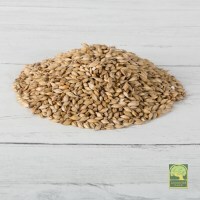 Chris won an award in 2017 for growing the best Malting Spring Barley in Northumberland, so you know that when you buy from us you are buying the best possible grains available for your birds.